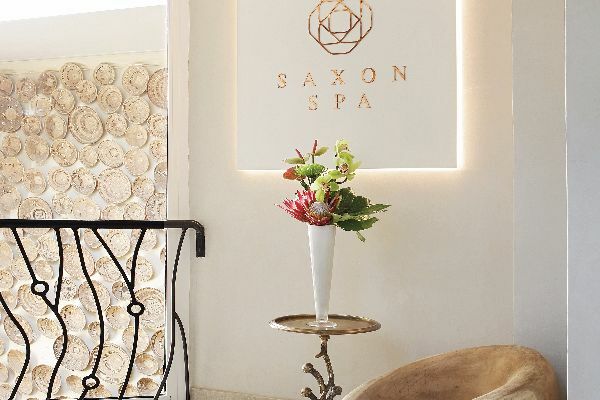 Saxon Spa, an oasis nestled in unique surroundings. 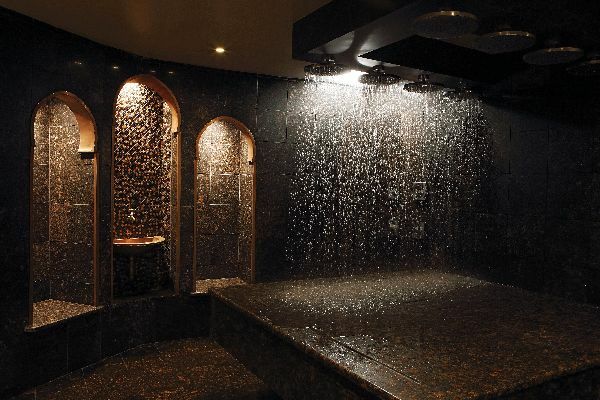 Cascading water features, a signature fireplace and influences of copper and Himalayan salts set the backdrop for a restful journey. 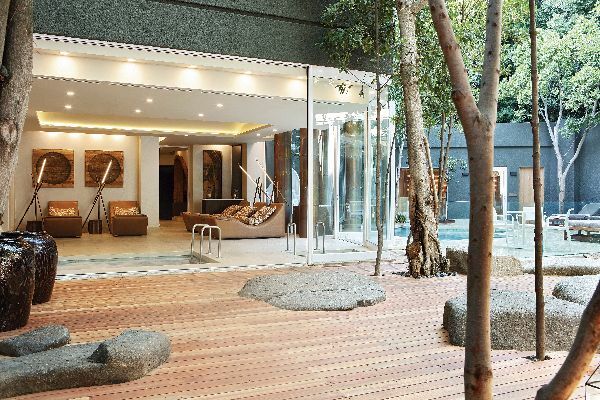 This metropolitan Spa offers holistic disciplines of a spa journey, giving our guests time to rediscover a healthy and discerning lifestyle. 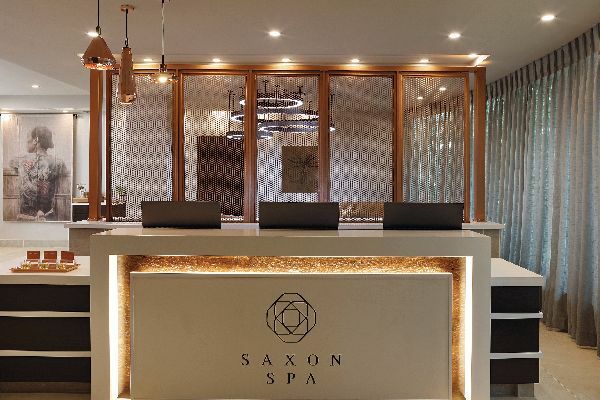 The Saxon Spa’s striking setting incorporates healing natural elements in its luxurious design to promote a holistic sense of vitality, energy and balance. 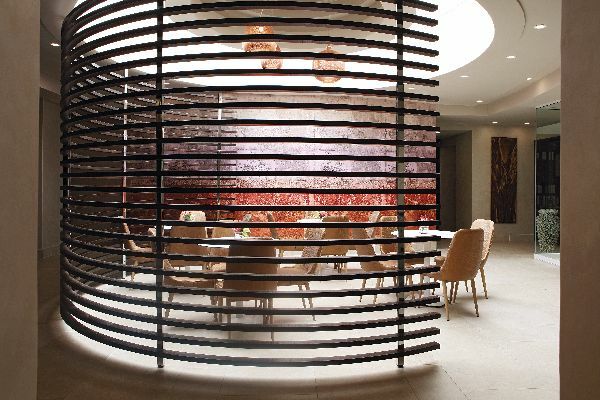 Every treatment room is ionised by a breathtakingly beautiful, locally hand-crafted Himalayan salt and recycled glass chandelier, copper is another key design element found in many touchpoints along your spa journey. 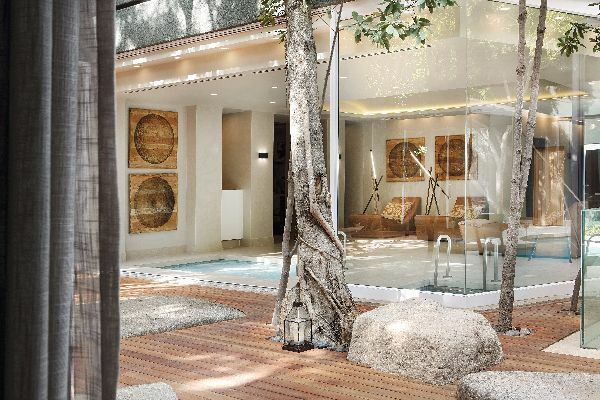 The element of water plays a key role in creating a tranquil atmosphere in the Spa. 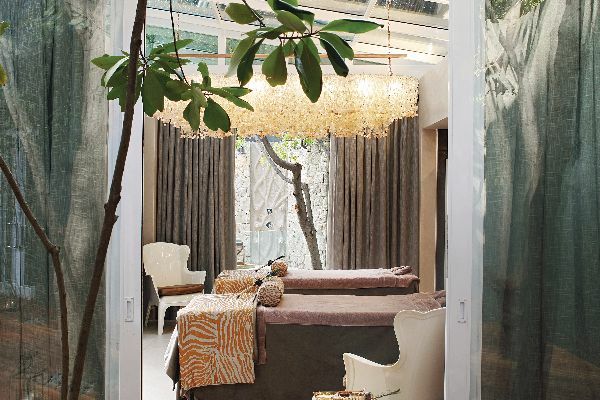 A true sanctuary of the senses.